The Z sustainable coffee trail, where do our bags go? Entering the drive of Wurruk’an you immediately feel like you’ve been transported to another land – a serene and positive land that you never want to leave. 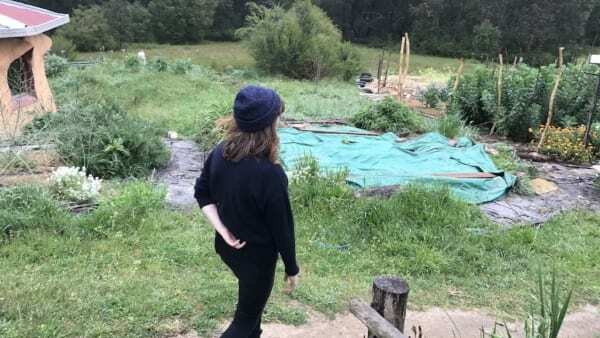 And, quite frankly, I was ready to pitch up my tent next to one of the tiny houses, gather some fresh salad from the garden, put my feet up in the elevated communal kitchen overlooking the picturesque permaculture sanctuary and never leave. Violette met me at the gate to show me around. And I’d hoped she could show me something that might have deterred my desire to set up camp there and then. She couldn’t. Not even the crooked, unpaved 400m trek she mapped out (the walk she makes every evening) from the communal kitchen/lounge down to her electricity-free tiny house could dampen my romantic view of living at Wurruk’an. “I have a torch, and sometimes the moonlight is enough,” she said with a coy smile, as if she knows something we don’t – and judging by her peaceful demeanour I assume she probably does. Living and working on a community like Wurrak’an is not something a person does for a long time – essentially because there is only so much space on the land and therefore only a handful of residents can only stay at a time, and only for short periods. Violette has been a resident at Wurruk’an 4-months. She made the trek from deep in the inner-city latte strip of Thornbury all the way out to the edge of Gippsland after she completed her studies. 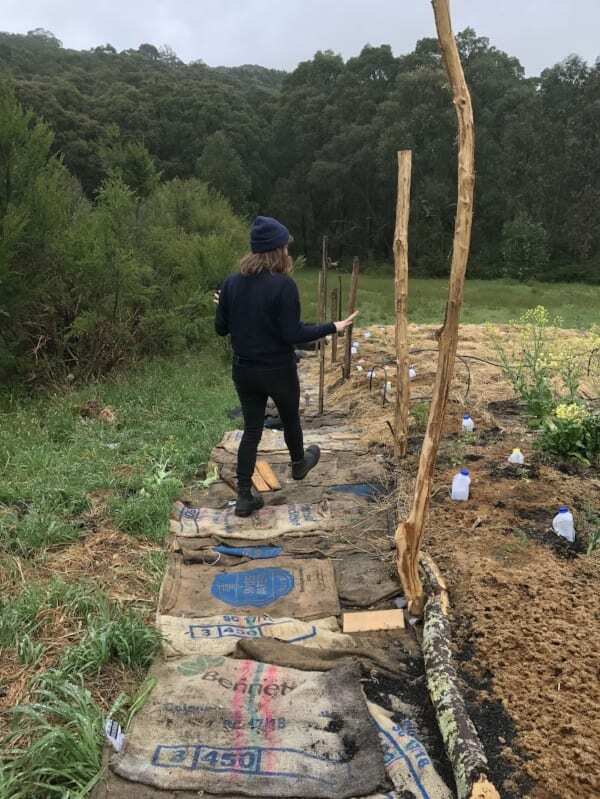 Violette decided to make the tree-change to continue her learning – in a more practical way, to study the land, the environment, permaculture – and to grow, not only vegetables, but herself. Wurruk’an was initially set-up as a project in the ‘Simpler Way’ movement, back in 2014. The idea behind the project is to inspire – through a story – how a simpler life can improve the way we live as a community and as individuals. Just being on the land at Wurruk'an, I was inspired already. The property has seen many residents come and go, some only staying for a few months, while others have stayed on for years. I was only here for a very short time, unfortunately, just long enough to document the small presence Zest has carved out in this community. Violette continued my tour through the grounds – up and down the small piece of land, through the communal kitchen (which is better than most kitchens I’ve been in) and into the vegetable gardens. Which is where I spotted the first hessian coffee bag, donated by Zest. 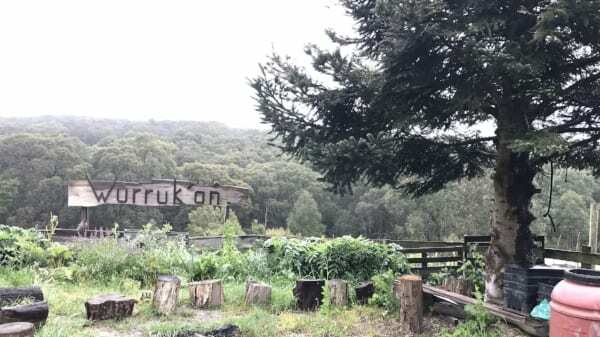 The residents of Wurruk’an use permaculture practices to grow their own food – anything they can’t grow on the property they gather from locals in exchange for their own produce. The simple life. The walk down to the garden is steep and rough, and paved with Zest hessian bags. A little further into the garden you see the bags in between crops, bags that once housed beans from faraway lands like Ethiopia, Costa Rica, Papua New Guinea and Brazil – the bags, now with a new purpose, to even the ground (teamed with newspaper and cardboard donated from other local businesses) and to halt the production of weeds. Hessian bags aren’t the only thing we at Zest donate to Wurruk’an, the residents also regularly collect our chaff – the outer layer of the coffee bean, a bi-product from the roasting process. The residents at Wurruk’an use the chaff, or coffee husks, for composting (it speeds up the composting process, absorbing moisture and producing soil rich in nitrogen). The chaff or husks have other uses at Wurruk’an too, specifically in breaking down some other –ahem– organic, human bi-products. “Would you like to see where else we use the coffee husks?” Violette asked enthusiastically. Um, not today, thanks, I believe you. In among our hessian bags and coffee husks I saw a very healthy harvest of garlic, salad, tomatoes, onions, potatoes and other mouth-watering food sources and, again, I was inspired. What a thrill to see these ‘waste products’ re-purposed and put to good use. Violette finished my tour with a quick look at the excess produce that they planned to trade with other local farmers and invited me along to their next Working Bee, a monthly event when they open up the farm to guests for a weekend of workshops, working the land, camping, and down-to-earth festivities. 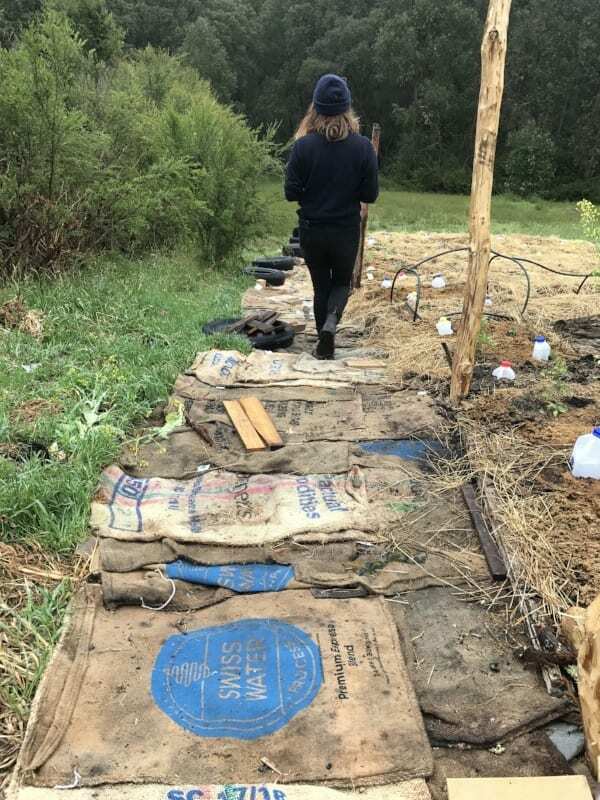 I left Wurruk’an with new ideas, composting goals, and a deeper respect for the land and the simple life, and totally impressed that following a trail of coffee bi-products had lead to me to a flourishing community of facilitators. In case you can’t make it out to visit, there’s a great little doco on YouTube that gives a nice insight into the ‘simpler life’ they’re practicing at Wurruk’an…. You can also follow Warruk’un on Facebook for inspo and perhaps one day you’ll make it out to the farm, if you do, tell ‘em Z sent you!